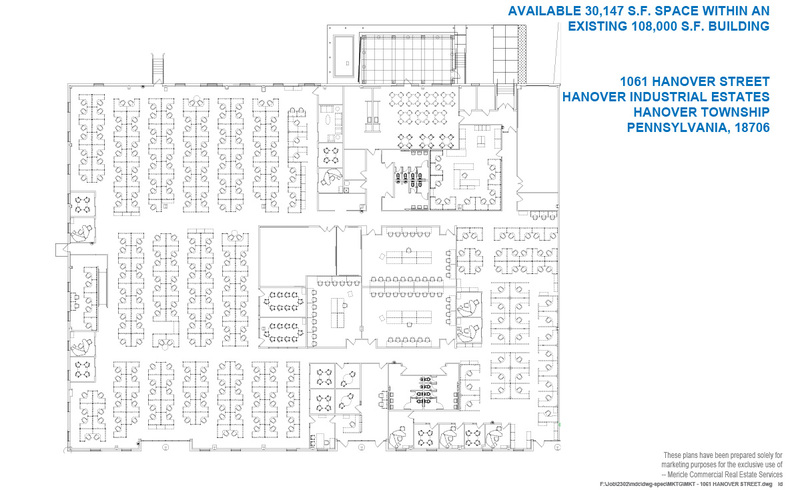 1061 Hanover Street is a 30,147 square office space that is located in Mericle multi-tenant flex building. 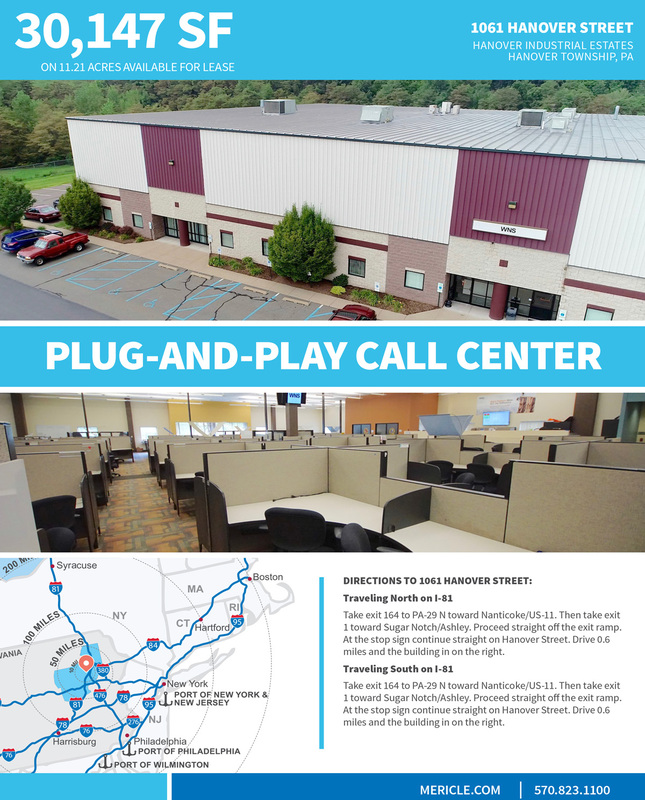 The entire space is fit-out as call center/office space with plug-and-play possibilities with existing systems furniture and furnishings. Marquee sign with masonry base at site entrance. Interior improvements include: carpet tile flooring, porcelain and ceramic tile in Restrooms and Reception Area, existing systems furniture and furnishings, (11) full glass sliding doors multiple ceiling heights ranging from 9′ a.f.f. to 14′ a.f.f., decorative wood wall trim, wood chair rail, and office doors with sidelights. Subfloor is 6″ thick reinforced concrete floor slab. Building roof is precision roll-formed Butler MR-24 panels with insulation. The exterior wall system is constructed with a combination of architectural masonry, aluminum frame entrance system, and metal wall panels with insulation. (1) existing 8′-6″ x 9′-6″ overhead door to storage area. Exterior perimeter contains 4′ -0″ x 4′-0″ insulated, aluminum frame windows. Power: Existing electrical service is a 800 AMP, 480/277 volt, 3- phase service with emergency power off switch (EPO) provided in Server Room, and existing 500kw, 277/480V diesel back up generator. Lighting: Existing office area lights are a combination of linear fluorescent pendants, 2 x 4 fluorescent troffers with parabolic lenses, 2 x 4 fluorescent troffers with prismatic lenses, recessed can lights, and accent lighting throughout space. 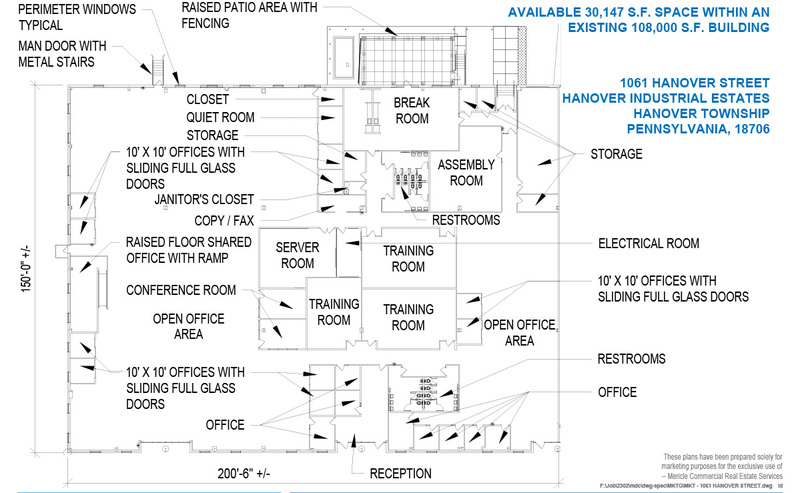 Heat: The heating/ cooling system is packaged, zoned, gas/electric roof top units with programmable thermostats. Data Center: The Server Room has (2) existing, 5-ton Liebert Units. Fire Protection: Existing sprinkler system is Light Hazard with Preaction Sprinkler System in Server Room. Water/Gas: Provisions for domestic water and natural gas are provided. All utilities are separately metered. Telecommunications: Redundant data/communications available in park. 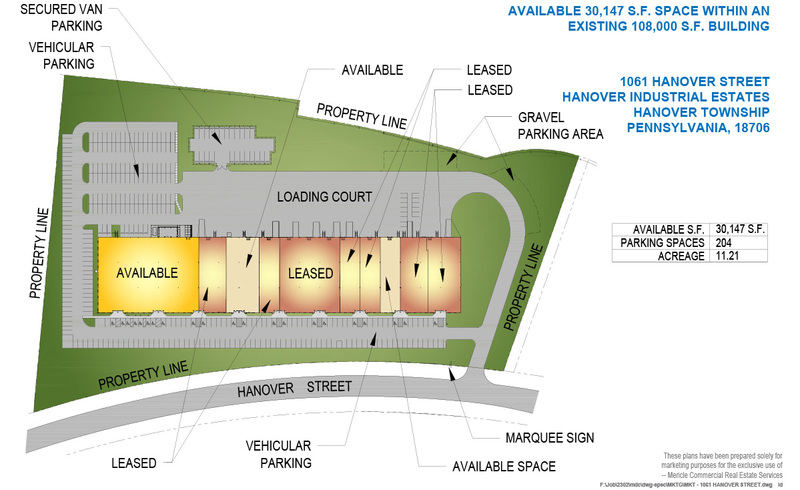 Highway Access: Interstate 81 is 1.75 miles from the building via park access roads and S.R. 29.